Chamblee is diverse neighborhood located about 14 miles outside of downtown Atlanta. 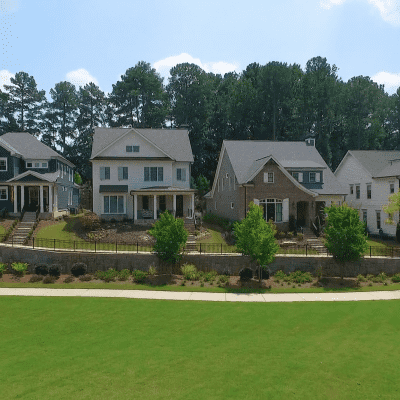 With a large variety of international shopping and dining options plus the ease of access to the DeKalb Peachtree Airport and MARTA, residents of Chamblee will find everything they need in this 7 square miles. Incorporated in 1907, the City of Chamblee was originally founded around dairy farms. Once the railroads came through the area, the city became a booming U.S. military operations site. After the wars ended, blue-collar industries took off and the General Motors plant in neighboring Doraville kept residents in steady work. Frosty Caboose is landmark in Chamblee. A small ice cream parlor that is located by the railroad track inside a converted train caboose is a must visit for anyone who enjoys a good frosty treat. With 36 flavors of ice cream on the menu at any given time, the entire family is sure to find something they like.